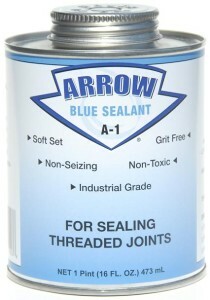 A-1 is an heavy duty, all purpose, non-seizing, industrial grade thread sealing compound that produces a leak-proof seal on all types of plastic and metal threaded connections. 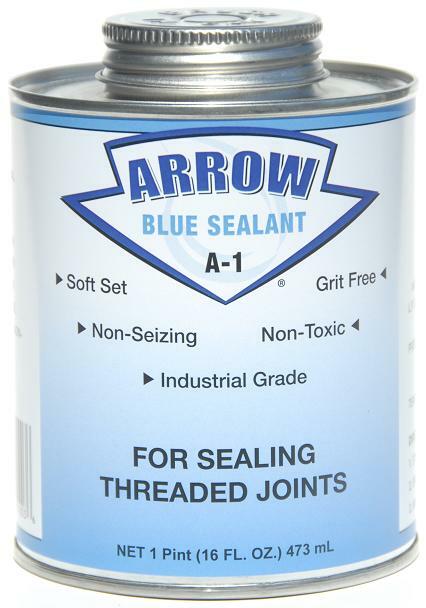 It is a smooth, grit free, completely homogenized, blue industrial grade paste. Listed by NSF International for compliance with NSF/ANSI Standard 14, NSF/ANSI Standard 61 for use on potable water, drain, waste, vent and sewer applications (pw-G-dwv-sw) and NSF/ANSI Standard 372 ‘lead free’.